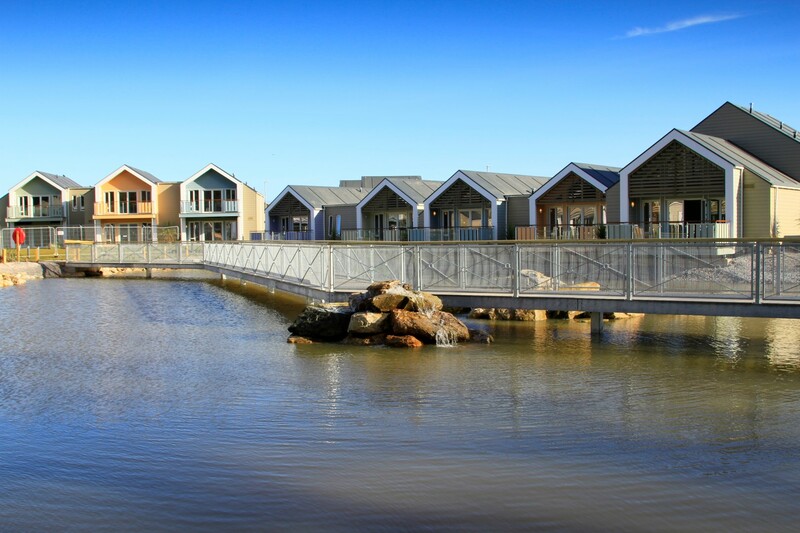 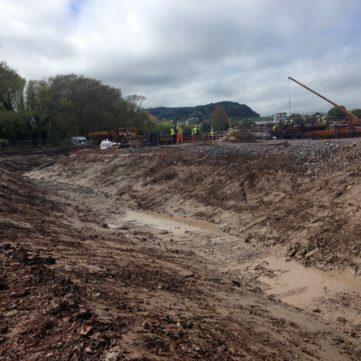 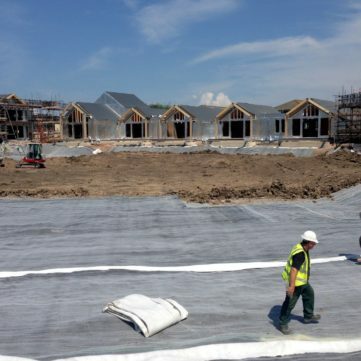 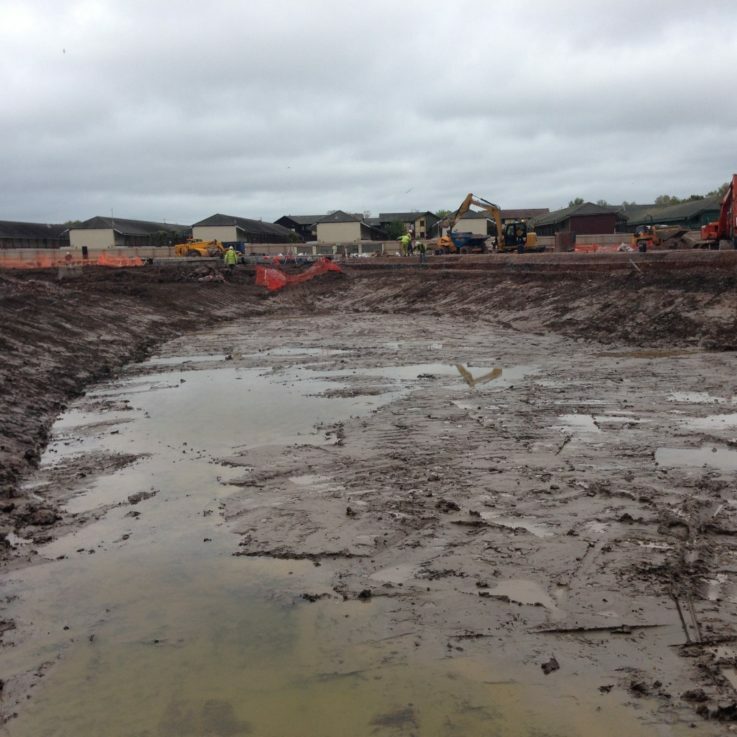 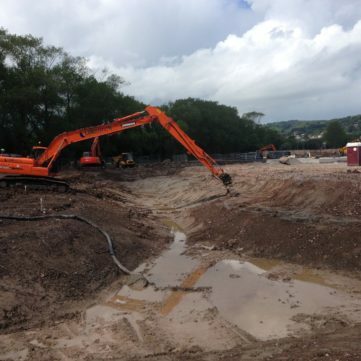 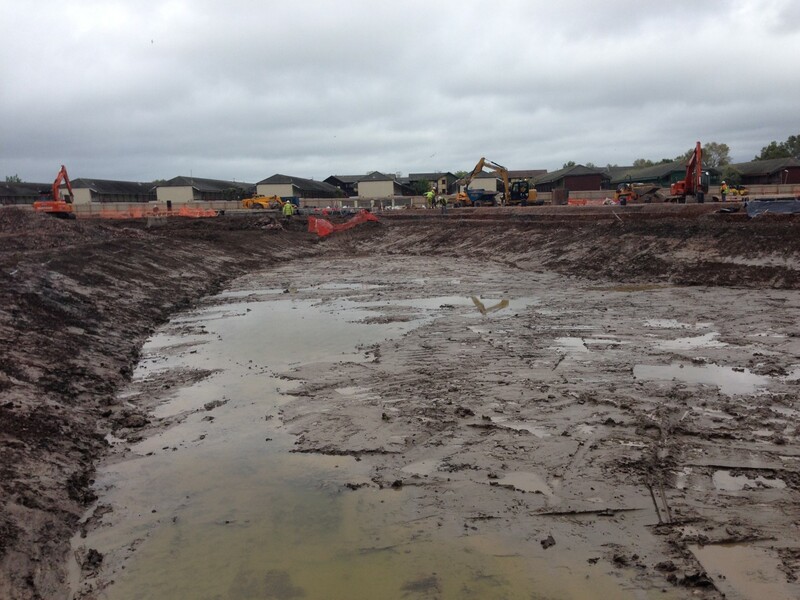 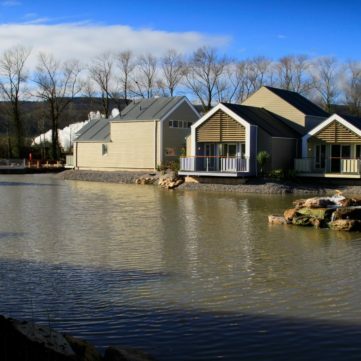 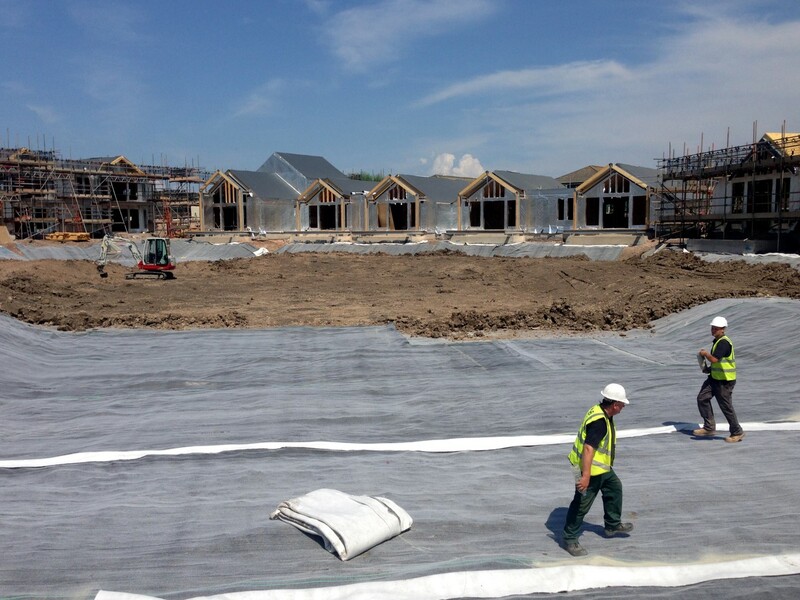 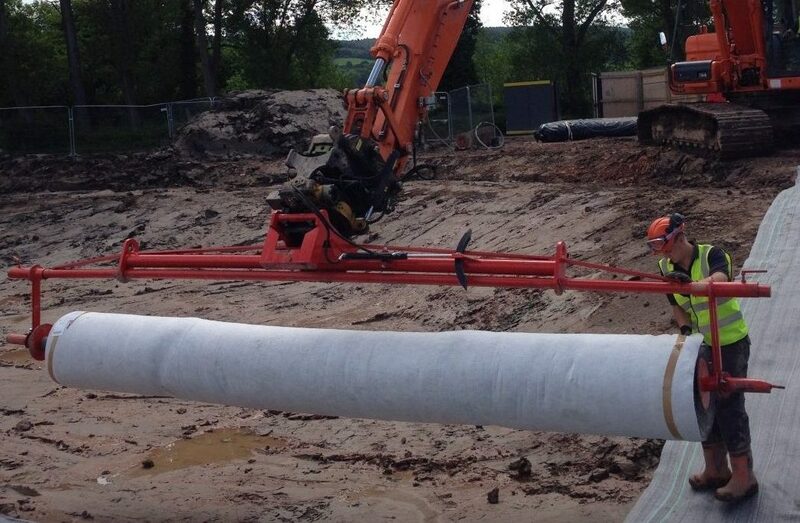 As part of a Butlins refurbishment & expansion project, Landmarc collaborated on the design & then undertook the installation of 2 lakes covering the area of approximately 2 acres. 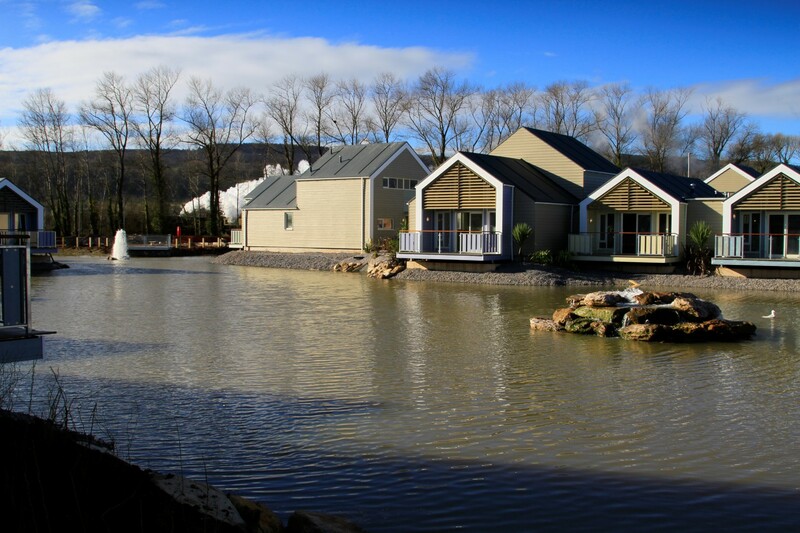 The close proximity of the construction of new lodges increased the complexity of the installation. 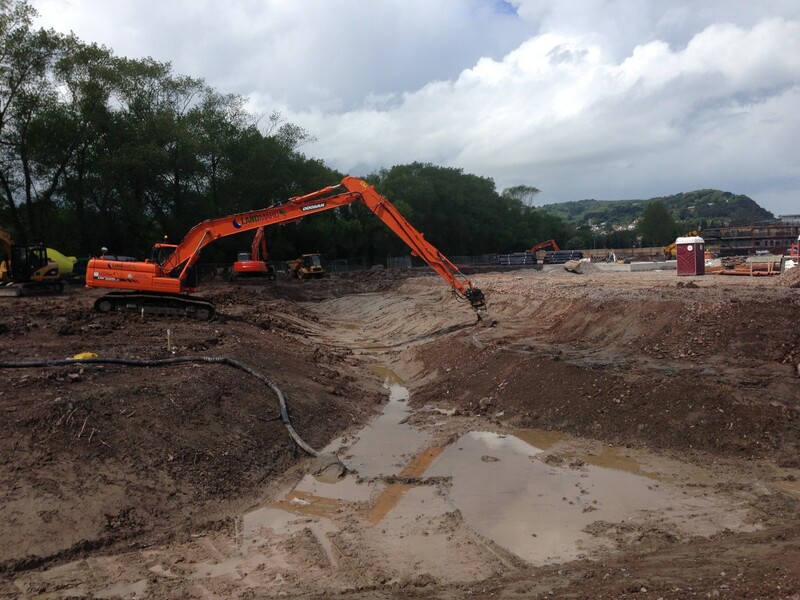 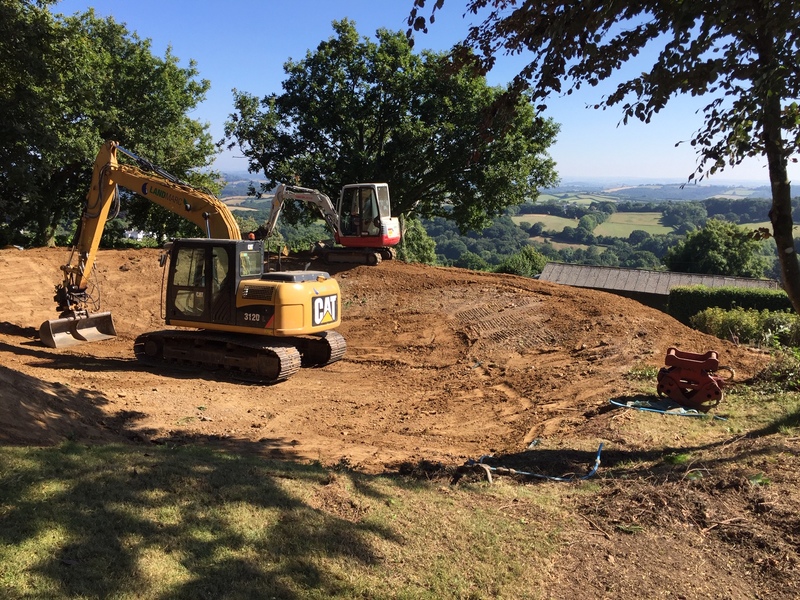 With the use of our long reach excavator, we were able to dig, profile & line the lakes from a small number of locations between lodges. 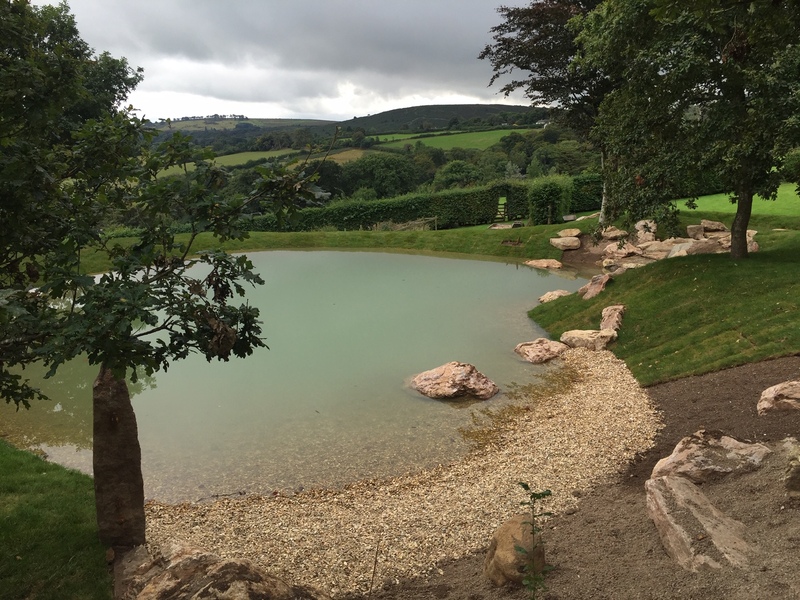 Once lined & back-filled, we built & installed 3 cascades & 2 fountains. 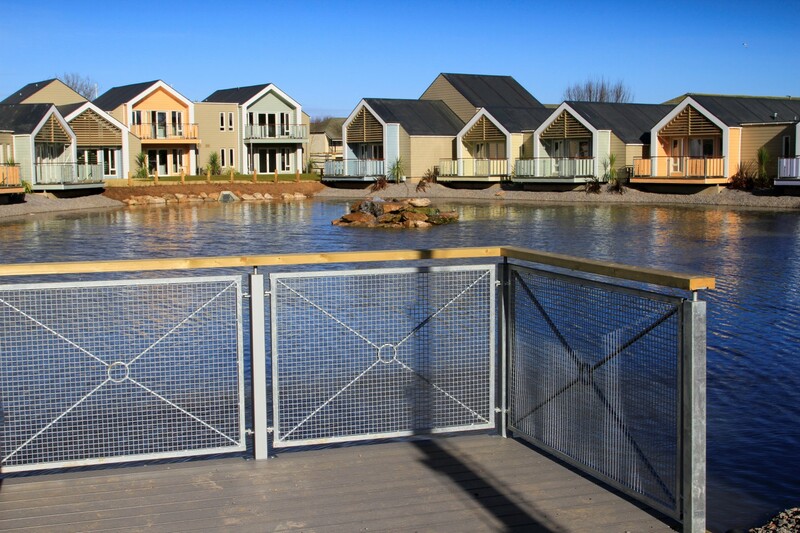 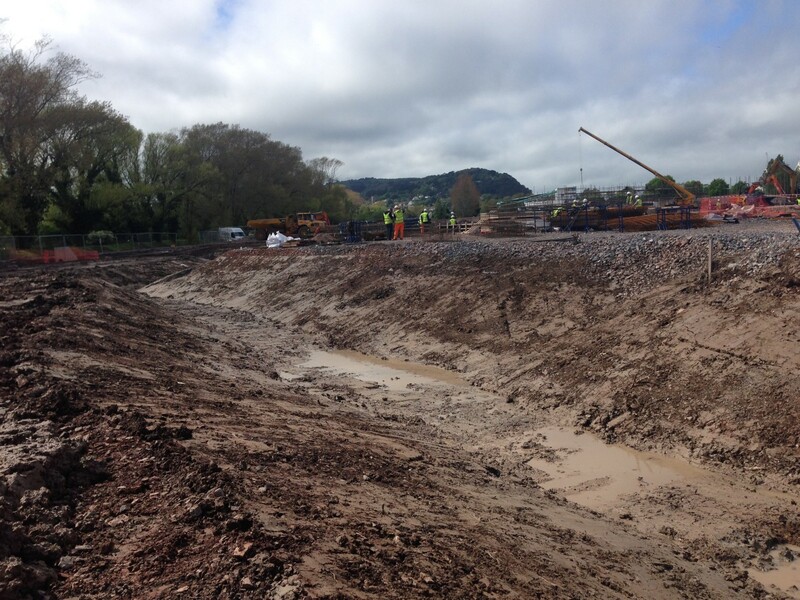 Using our fabrication department, we created the 60m bridge, crossing the larger of the lakes. 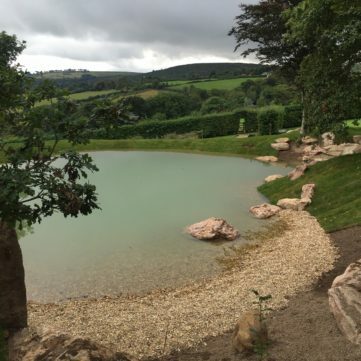 This is an example of a design and construction project set in the landscape of Dartmoor. 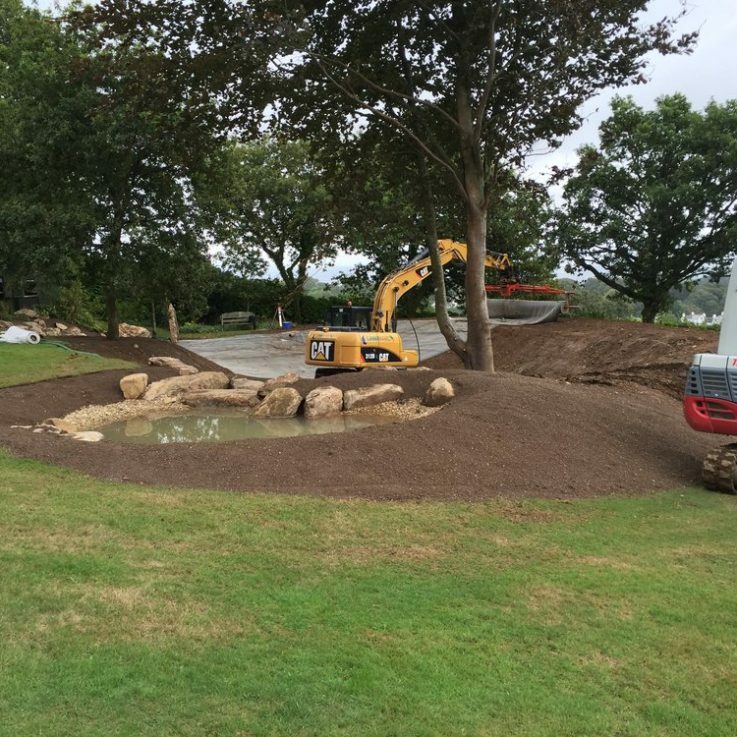 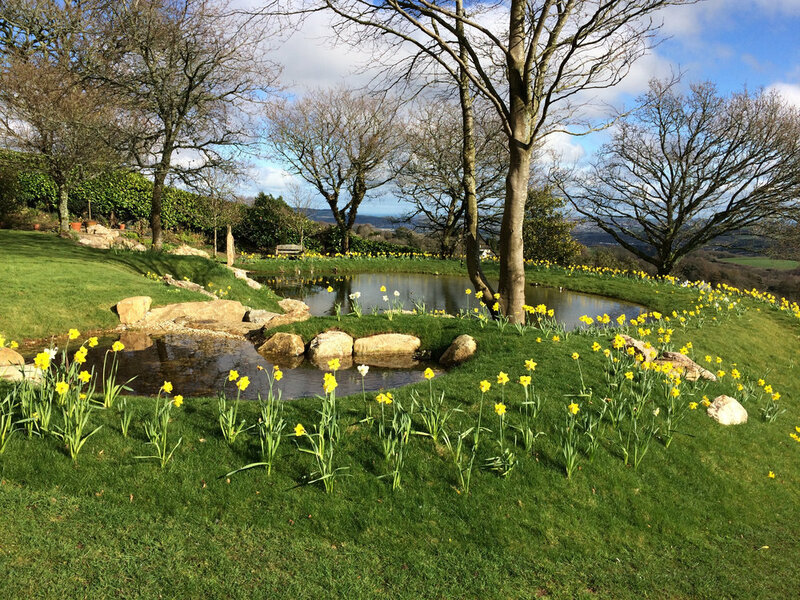 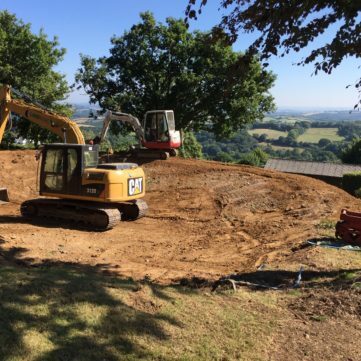 Our specification was to create a pool to enhance the beautiful landscape but to stay in keeping with the customers existing estate. 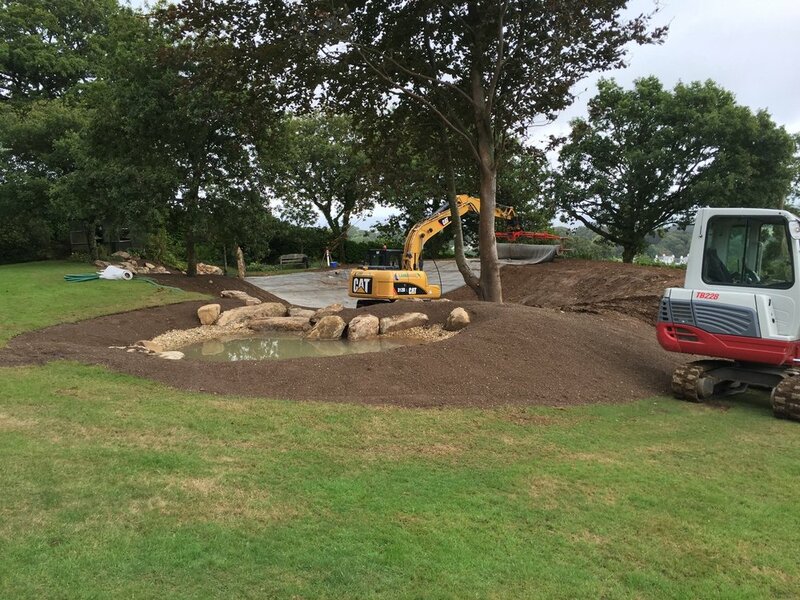 The customer requested certain features such as a gravelled beach area, a wet/bog planting area and a water cascade. 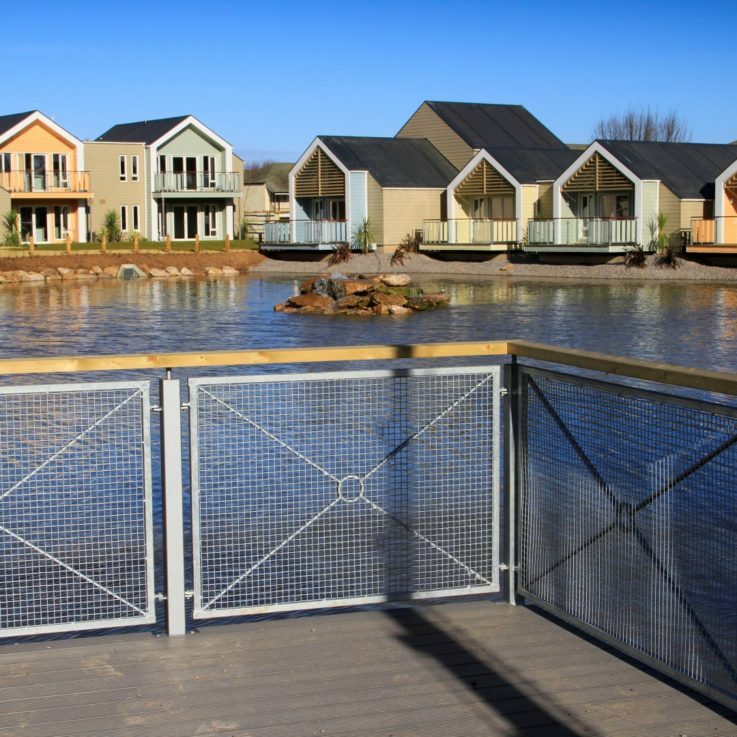 Completing the project to the client’s satisfaction was a testament to Landmarc’s capabilities in pool and lake construction projects of this nature.